1. Put the bouquets in vases and add some candles and a runner of greenery and voilà, the head table is decorated! 2. Wedding cakes look amazing on their own, but a touch of flowers and a few candles can add a little extra to the tablescape. 3. Some flowers and candles add a beautiful, welcoming touch to the card and gift table. 4. The sweets table is my favorite! Desserts + flowers = winning combination! 5. 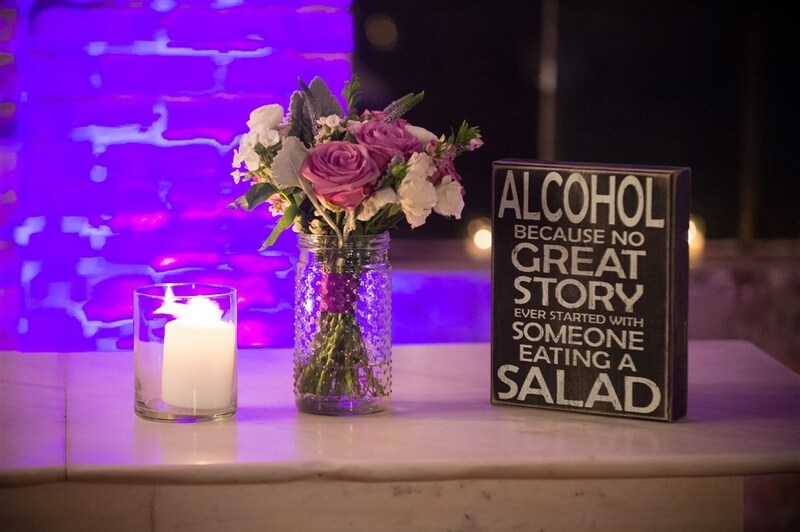 Jill and Scott's bar at Salvage One was spruced up with one of the bouquets, candles and this sign that speaks the truth! Hope this helps! If you're planning a wedding and need flowers, say hey here!